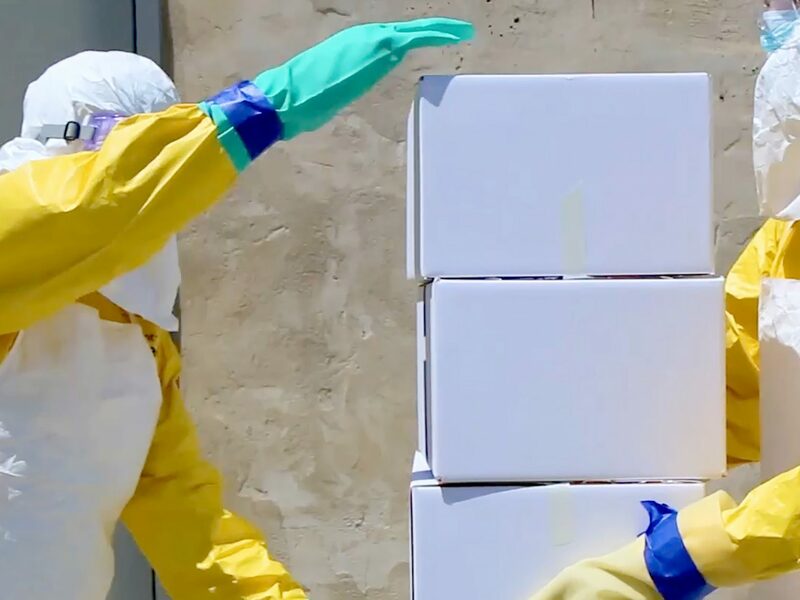 In the wake of the deadly Ebola outbreak, the USAID issued a Grand Challenge to agencies across the country for innovative ideas that could minimize the spread of Ebola and help save lives. We immediately assembled a team to answer the call. 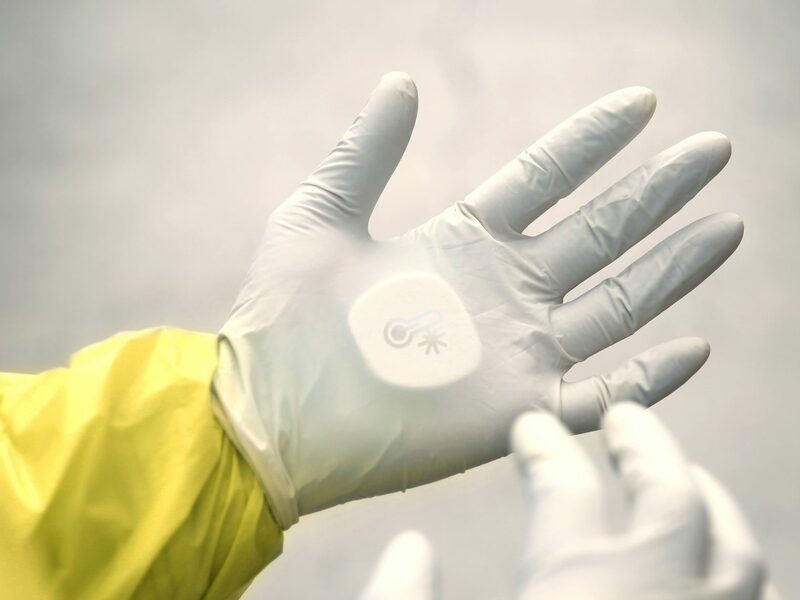 Inspired by the testimony of Ebola survivor Dr. Kent Brantly - who shared his excruciating yet common experience of working inside a PPE (Personal Protective Equipment) suit that could reach temperatures as high as 115 degrees - we designed an elegant cooling solution that nearly doubled the amount of time aid workers could spend in their Personal Protective Equipment (PPE) when responding to outbreaks in high-heat climates. 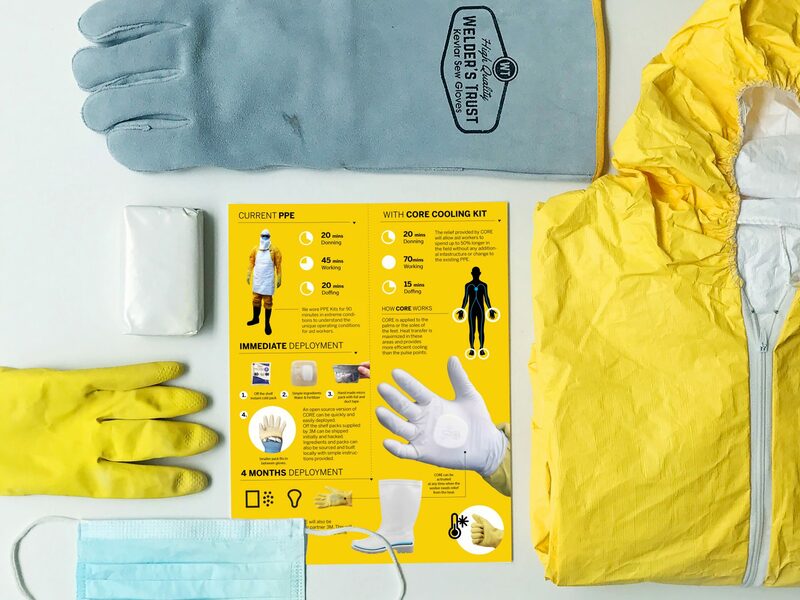 By using supplies already available in aid worker tents, we designed an award-winning solution (IDSA IDEA 2016 Silver Award) that enables an aid worker to activate a cooling agent within a rubber glove centered on the palm of the hand - giving workers up to 50% more time with patients, saving lives.